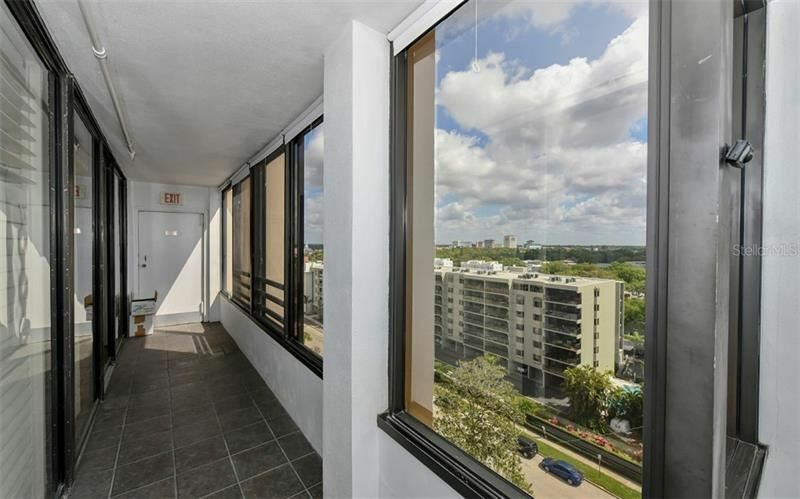 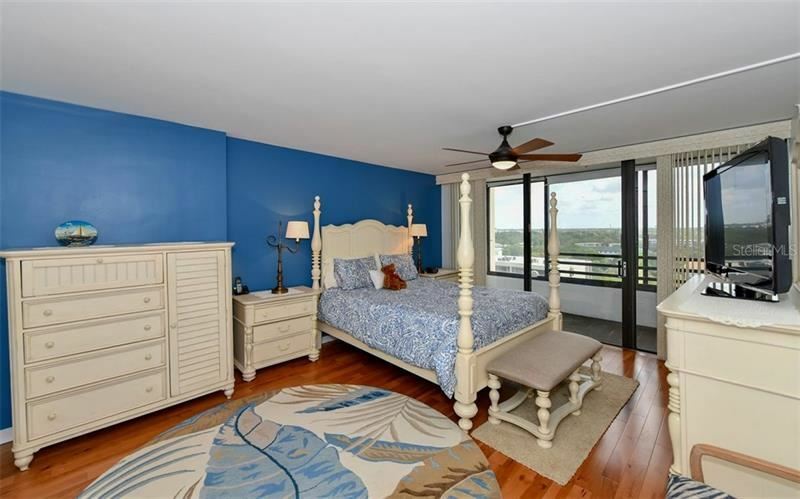 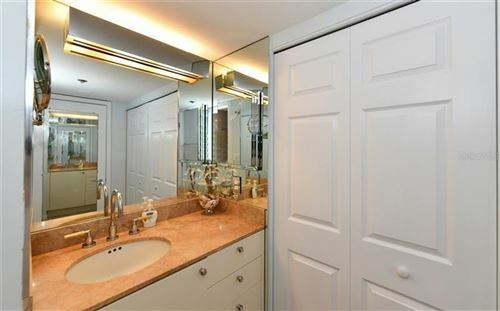 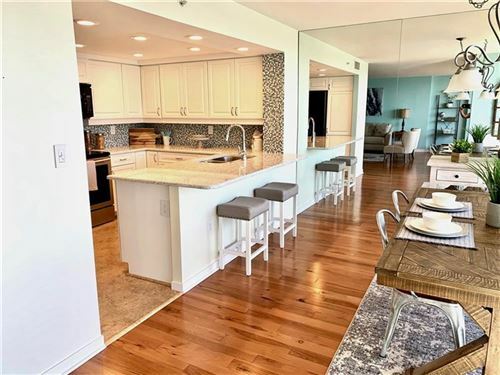 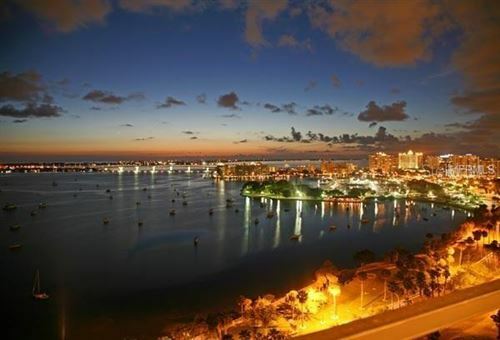 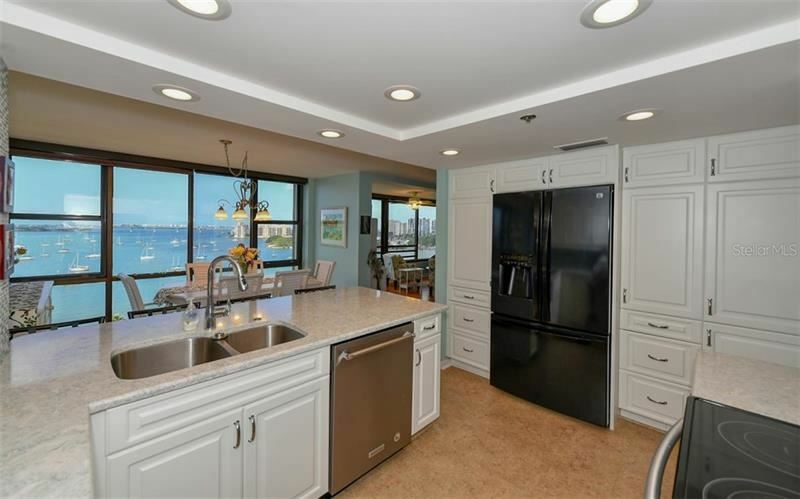 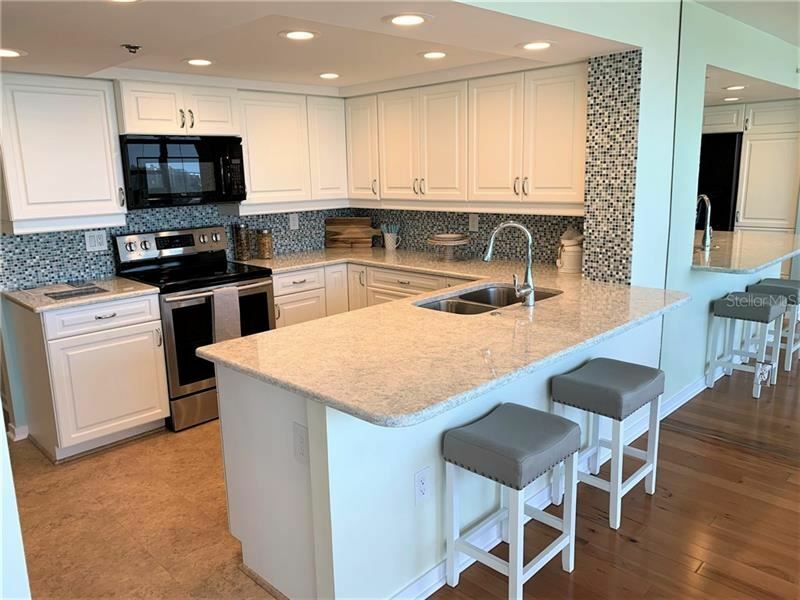 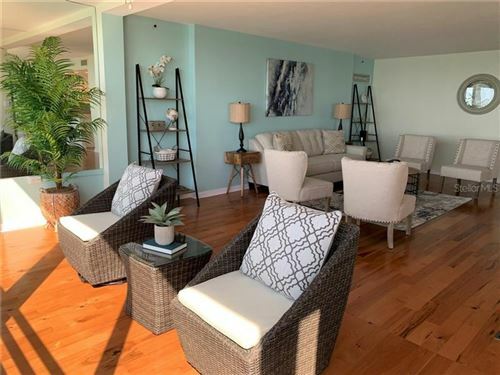 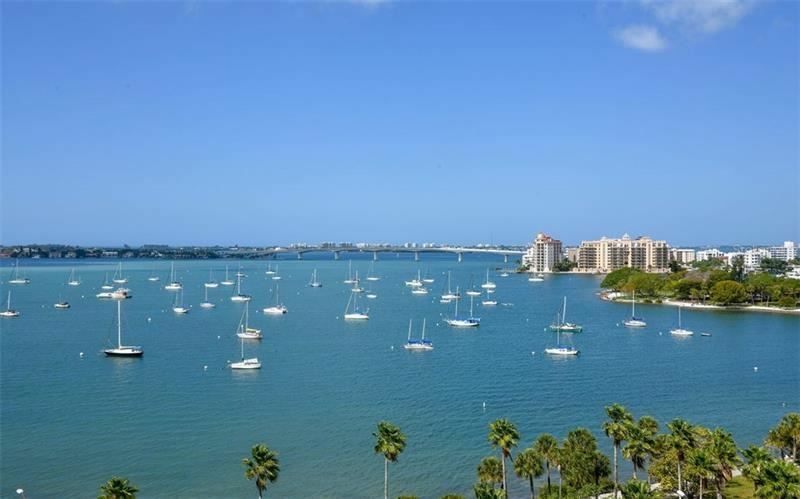 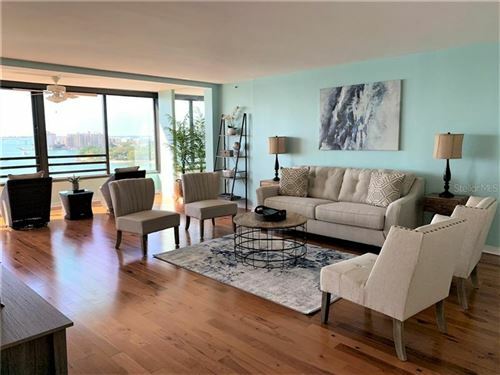 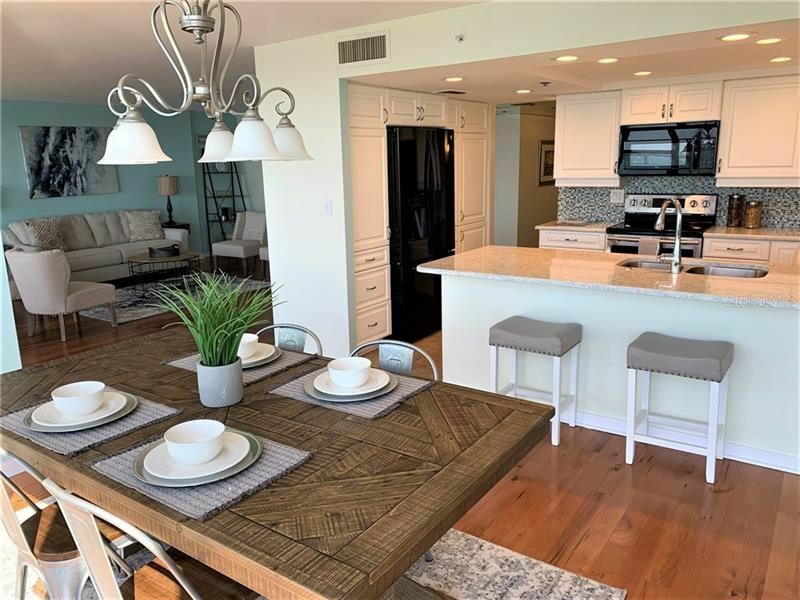 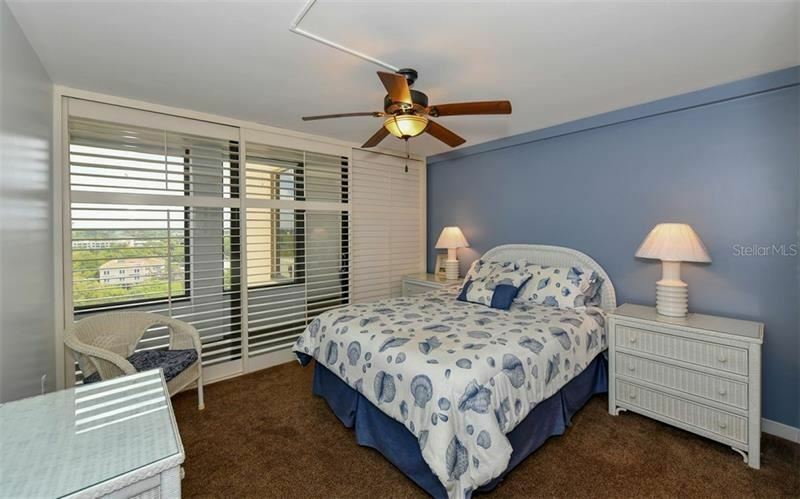 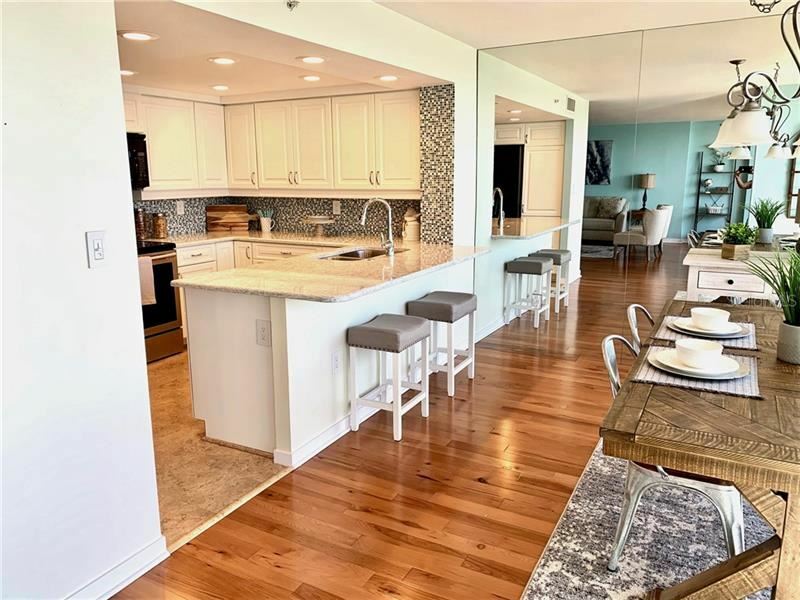 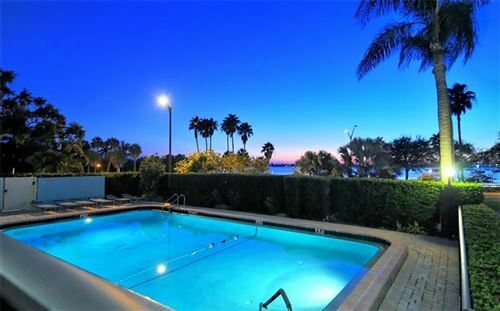 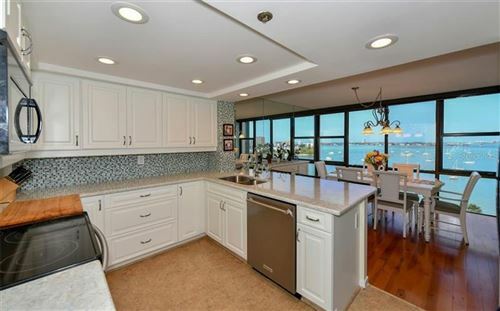 Gorgeous unobstructed water views from this Palm Ave condo in Downtown Sarasota. 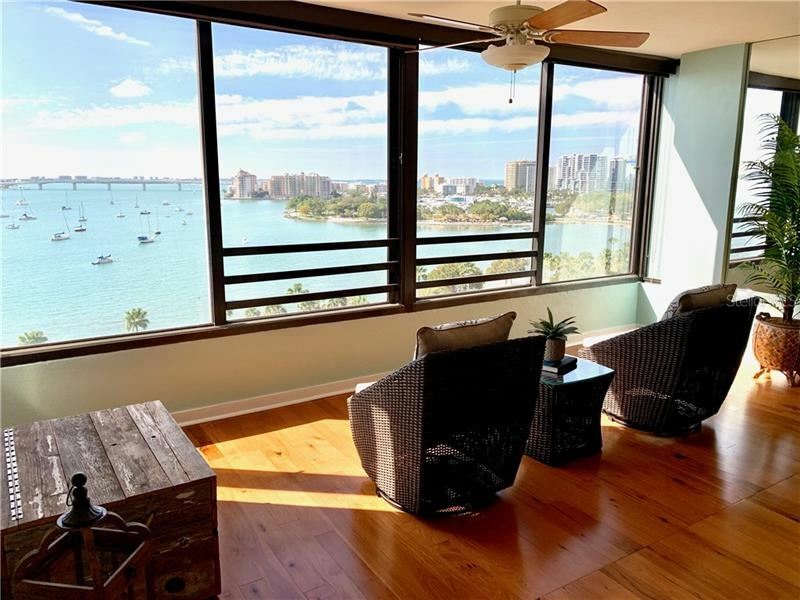 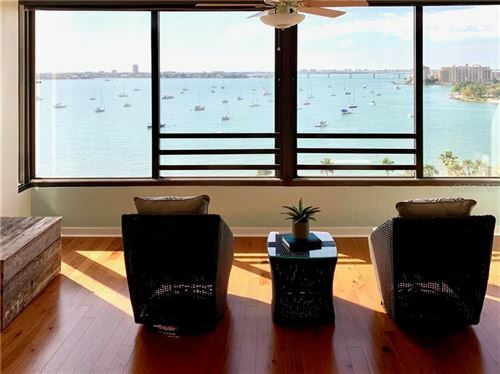 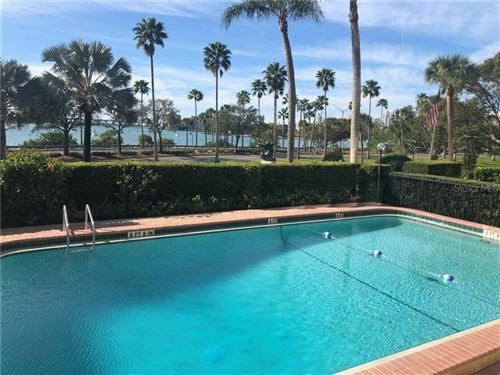 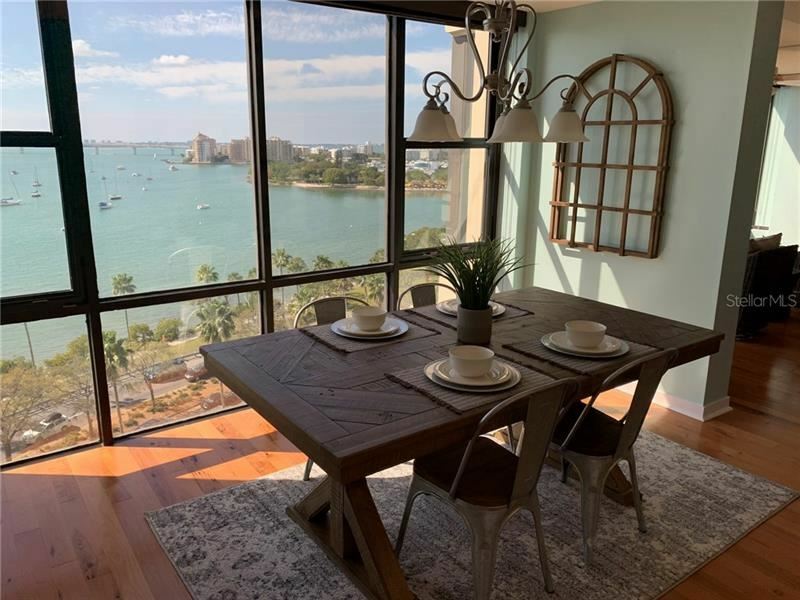 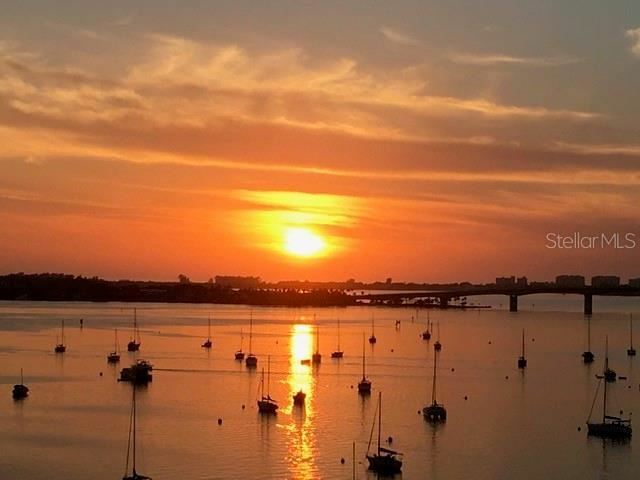 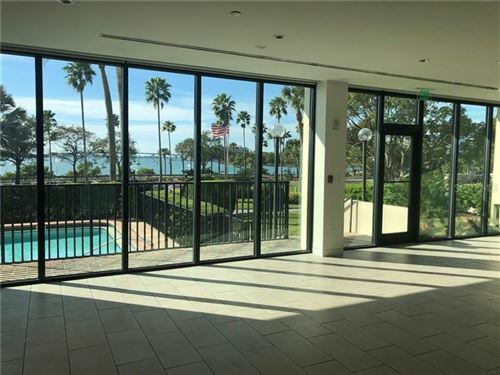 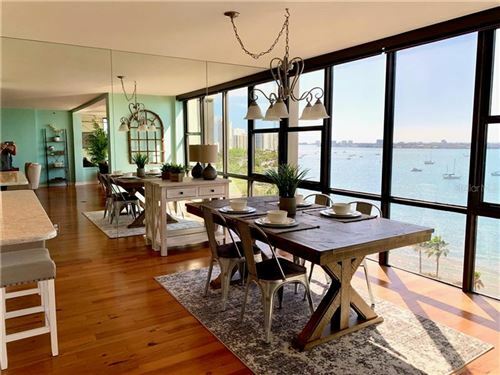 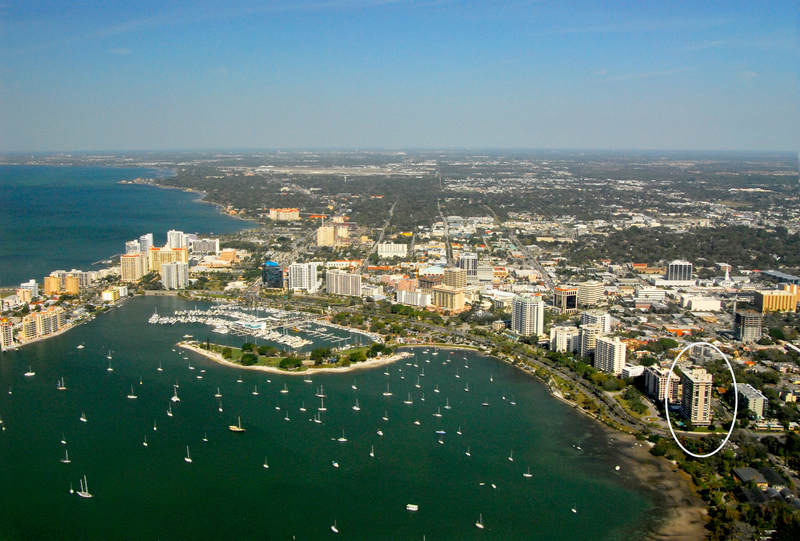 So much to offer with panorama views of The Bay, Gulf of Mexico, boats in the bay, Ringling Bridge, Bayfront Park, Big Pass & of course award winning sunsets that Sarasota is so famous for. Wake to beautiful sunrises from the master/ second bedroom and east facing balcony. Embassy house has it all - Water and Location. 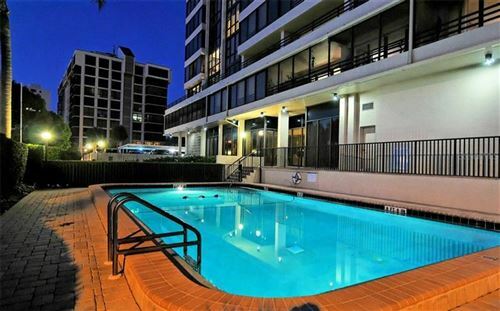 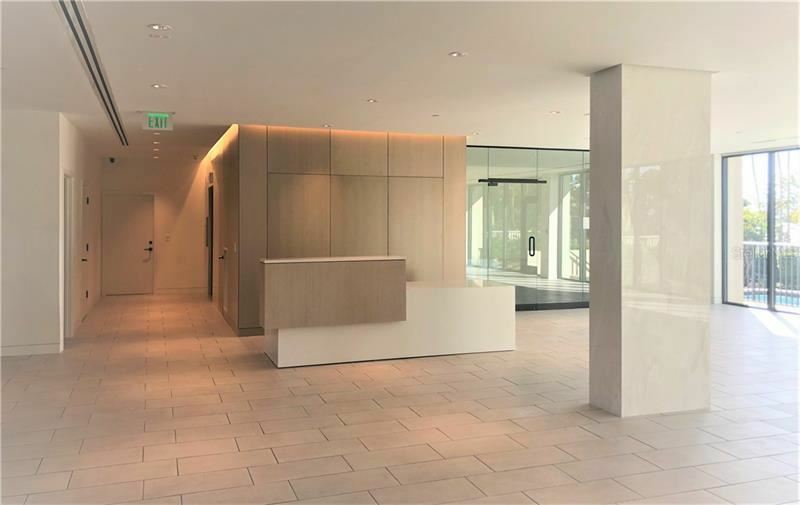 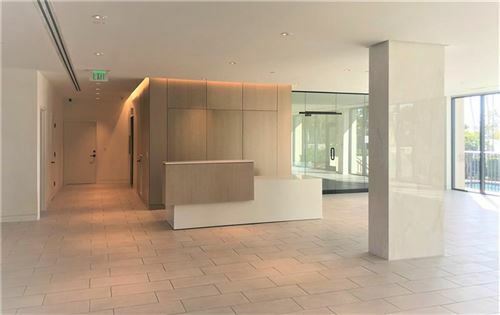 Across from the Bayfront & next to Marie Selby Botanical Gardens also walking distance to Burns Court, Downtown restaurants, theaters, opera and numerous art galleries. 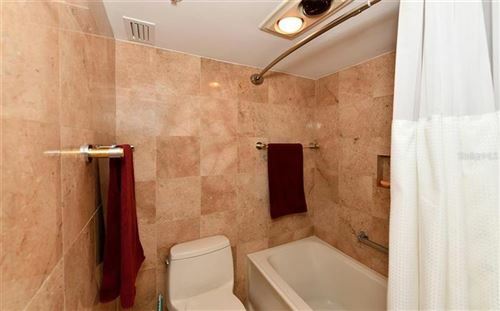 This 2 bedroom/2 bath has been totally updated; bathrooms, wood floors, solid wood doors, paint, bright open kitchen and an open lania for an extended living area. 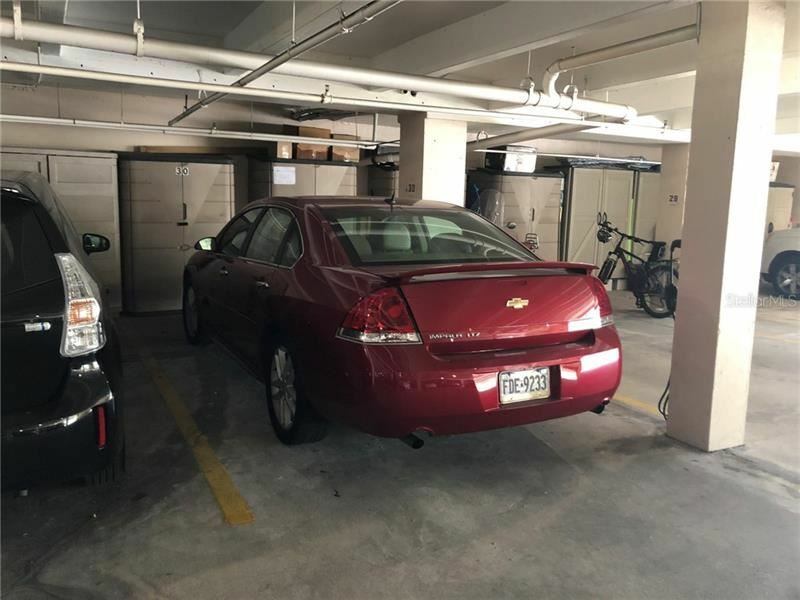 Included is the coveted parking space in the garage with large storage. 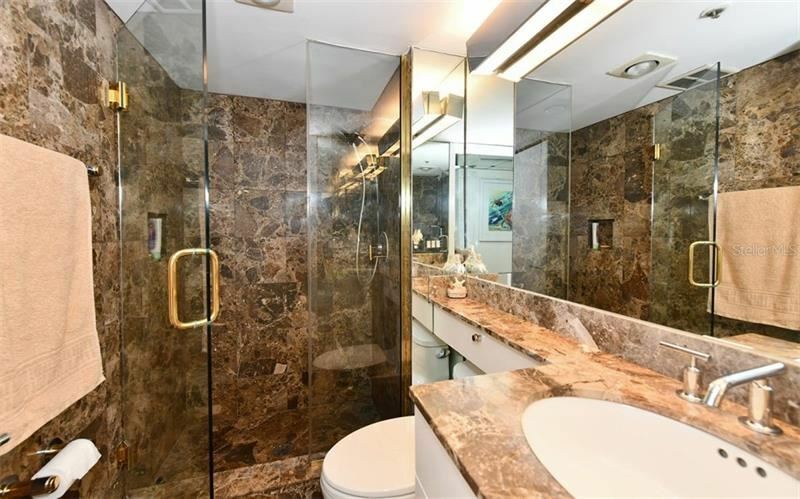 Embassy House amenities include a social room, full kitchen, conference room, exercise room and a large pool with his/ her baths. 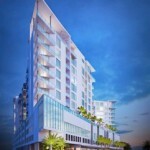 Residents enjoy a concierge desk, security, and friendly onsite management. 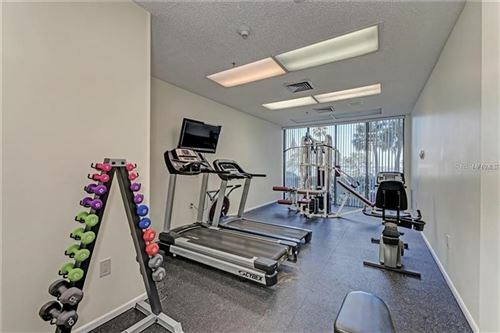 Maintenance fees include semi-annual A/C system service with replacement if necessary with no cost to owners and washer/dryer.